Amazing position - 20 feet from seafront. Nicest part of LaManga. Lovely local cafe/heladeria. V peaceful (out of season). Well equipped & great shower! The view was amazing, we were right on the sea front if we were further in complex then might not have enjoyed it. This is pretty much as cheap as it gets in Spain, excluding hostels with multiple bed dorms - yet we got the whole house! It was just the two of us, yet the house could easily accepted four people, there are two separate bedrooms, plus a fold-out bed in the living room. Property located in a Dream location just next to the Mediterranean Sea, just AMAZING. Property was very clean and well presented and had a superb position within the complex. Apartment was very nice, clean and well equipped. The pools and gardens are immaculate. Staff were so helpful, beautiful balcony facing right onto the ocean, apartment very clean and excellent facilities. 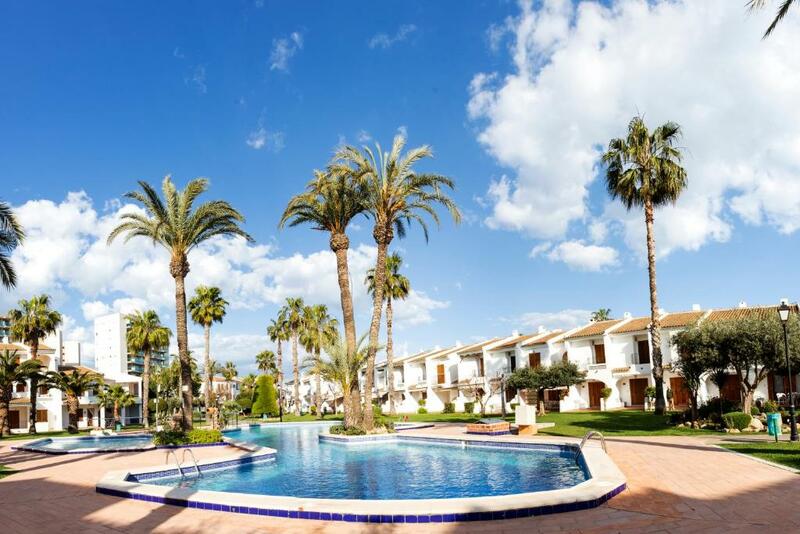 One of our top picks in La Manga del Mar Menor.These apartments are located at the northern end of La Manga, next to the Mediterranean Sea and 1,000 feet from the Mar Menor. They offer tennis courts and 2 outdoor pools, a free Wi-Fi zone and free parking. 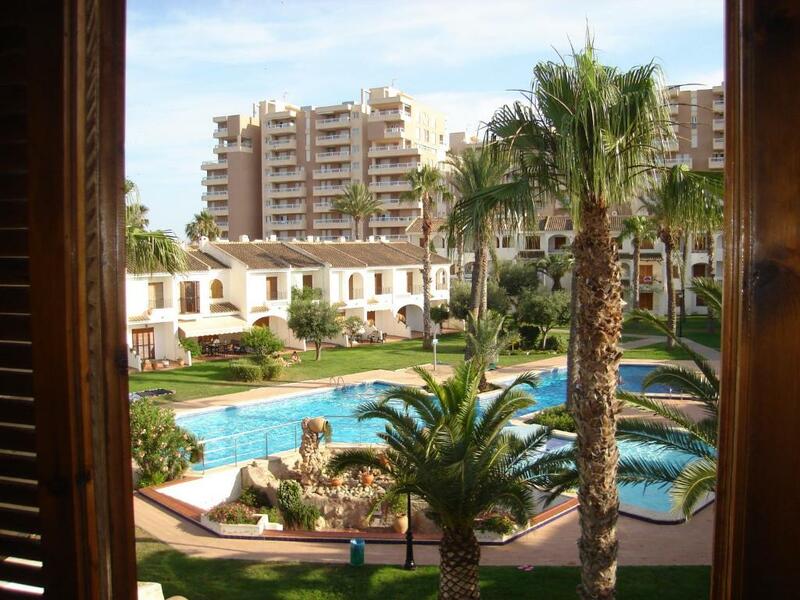 Set in gardens, Apartamentos Aldeas De Taray Club are next to a small pitch and putt golf course. Spacious apartments have a private balcony, some with pool views. The living room comes with a sofa bed and satellite TV, and there is a private bathroom. Each apartment has a dining area and a well-equipped kitchenette with a fridge, microwave and coffee maker, as well as a washing machine. 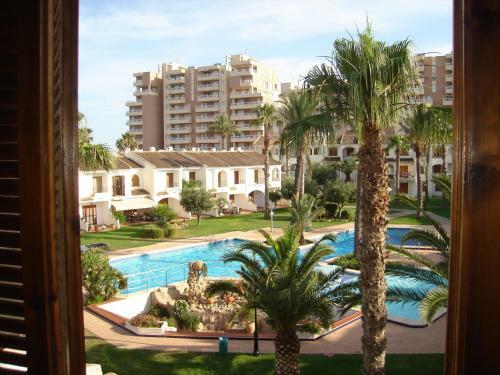 Aldeas De Taray Club is within a short walk of several bars, restaurants and a supermarket. Luggage storage is offered and you can hire a car from the tour desk. Murcia Airport is an hour’s drive away. When would you like to stay at Apartamentos Aldeas De Taray Club? This apartment features a seating area with TV, a well-equipped kitchenette and a private bathroom. This spacious apartment features a seating area with TV, a well-equipped kitchenette and a private bathroom. House Rules Apartamentos Aldeas De Taray Club takes special requests – add in the next step! Apartamentos Aldeas De Taray Club accepts these cards and reserves the right to temporarily hold an amount prior to arrival. No pools functioning when we came (Easter hols). Needs a welcome pack - arrived at night and nothing to wash with, eat, drink etc. One toilet roll included and tiny bit of washing up liquid! Price keeps going up every year. 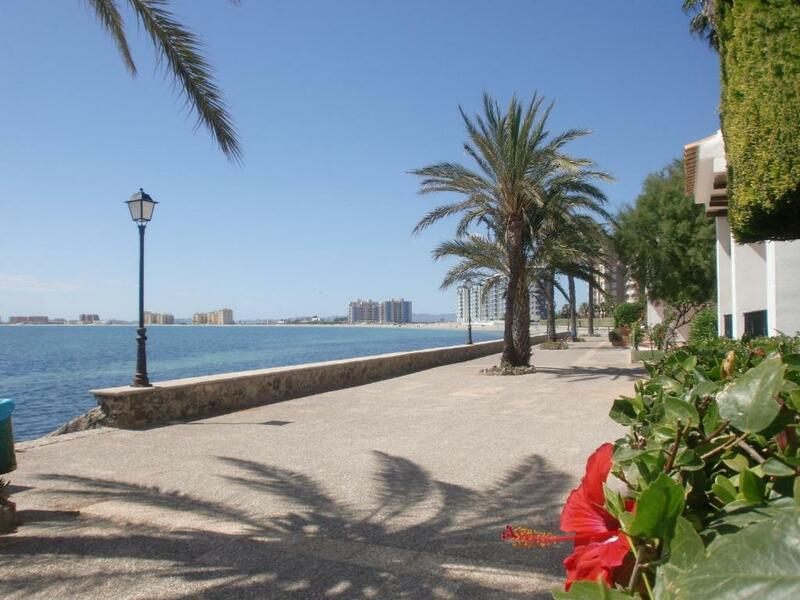 La Manga itself isn't the nicest place for young people who want to have an eventful holiday. It's great for families, or retired people who wish to enjoy peace, but if we wanted to do something more than to go to the restaurant, we had to go by car, and it was always quite a long drive. Couldn't get wifi despite being assured beforehand that this was available. The lack of wifi meant we were unable to use ipads and telephones which was detrimental to our evening entertainment. This was a major contribution to our leaving the accommodation a week early. It's a very residential place, which isn't made clear when booking, they could rent out some sun loungers as they are not provided by the pool, we had to buy them in the shop across the road. We went in May and not a lot opens during the week, we were kept being told June is when it all happens, Monday night nothing is open! Very Spanish area so not everyone speaks English which is fine. But if your looking for night life this is not the place to go! It suited us very well as we had 2 young kids with us so we just wanted a meal and a drink at night. And the bus stop outside The apartments brings you to The port which has restaurants and is 5 minutes away. The apartments are right on the beach and there is a lovely beach across the road also, the pool is very clean and a big size, and the apartments them selves are clean are spacious. We would go back but maybe from June! Only one pool open and no sun beds around the pool but it was end of April so maybe complex puts them out at start of holiday season ? The apartment bed mattresses were ok but not very comfy. The apartments could do with having a kettle and toaster. 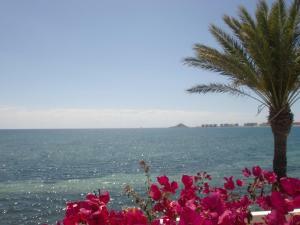 Apartment was well equipped the view from patio sea view lovely, grounds of complex were the prettiest on la manga . Lovely that they were in spanish low rise style. Complex Staff very nice and helpful. Reception closed at 20:00 every day, very disappointing when our landing was at 21:30 at the local airport. The bed it was just awful, WiFi was just annoying with very very poor signal in the property.